FIRE-BRAKE foam specially designed to be used for wildland and other Class A fuel fires. 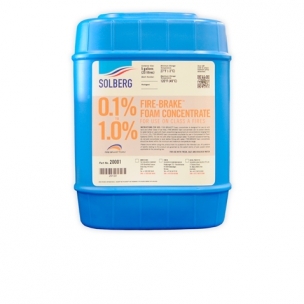 FIRE-BRAKE foam concentrate from SOLBERG is a synthetic firefighting foam concentrate specially designed to be used for wildland and other Class A fuel fires. FIRE-BRAKE foam concentrate has the ability to reduce the surface tension of water, which substantially increases water's overall wetting capability.